Growing up in South Africa, I’ve always been used to strong, bold colours, and I’ve never been one to shy away from adornment. A bit of a show-off really. There’s just something so wonderful about choosing the right necklaces – or necklaces, plural, to add a dash of élan to an ordinary outfit. So here’s what’s in my jewellery box – well, it’s more of a jewellery wall. I love strong, architectural shapes and I’m also drawn to designs that reflect a love of nature, taking inspiration from the curves and shapes of landscapes, seas and flora and fauna. Wearing multi-coloured necklaces over a strong or solid colour top allows them to stand out and make a statement. It often provides a talking point too. I’ve made a lot of friends from their opening gambit of ‘‘Oh, where did you get that necklace’’. A great bold necklace is invaluable for those days when you lack the energy of making a big effort, but don’t want to look boring. This one from the necklace wall, is the perfect length, stylish enough for day and sassy enough for evening. 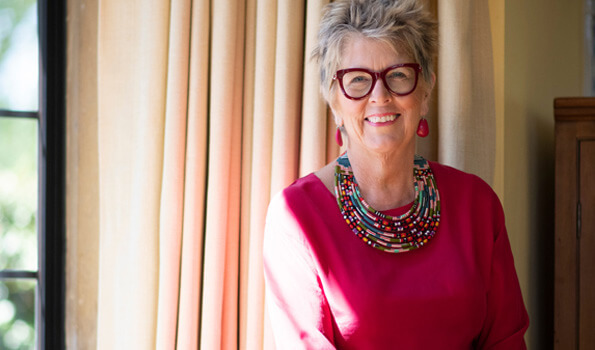 I know not everyone is a fan of a bright top so a pop of colour and pattern with a bold and bright necklace is a way to introduce stronger shades without being overpowering. Think of a colour you love but feel is too overpowering, and add it to your outfit as a necklace. It’s a great way to lift your whole look. 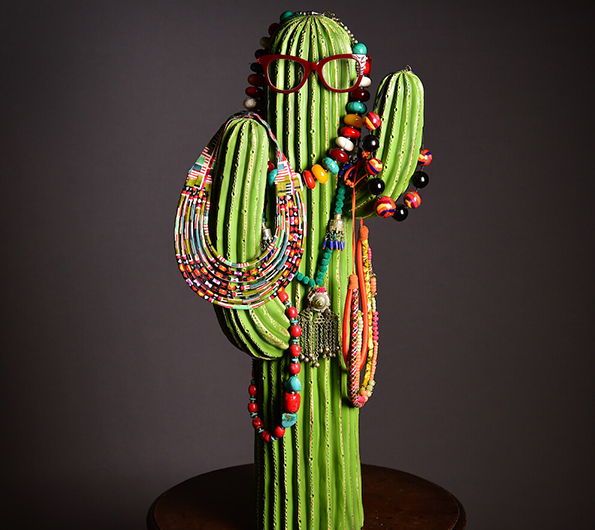 I don’t bother with all those teeny weeny little necklaces, they’re hardly worth the bother – go all out for a fun, multi-coloured one with oversized beads, or layer several together to stand out from the crowd. Each one will have a story and a personality so enjoy your baubles and make them part of your everyday wardrobe – no use waiting for a special occasion, this is my way of making every day stand out. 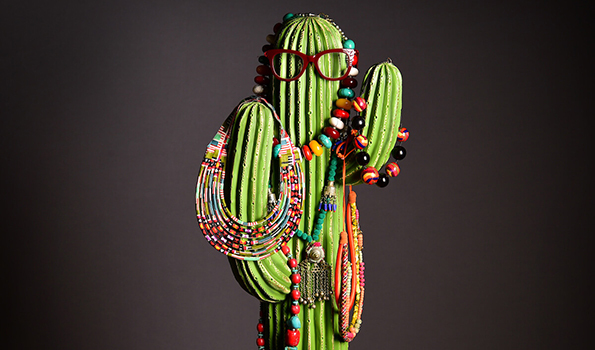 I’ve put a few of my favourites on this rather mad cactus from La Redoute, the red or dead readers from Specsavers and the two “arms” make me laugh and I love a fun way to store my jewellery.